Here's this one I thought up of for EARTH Beast and EARTH Plant, aka Fast Food Restaurant deck that uses Rituals. Fukato: You have to make a satisfactory prompt that tells people what the Deck is trying to do and how it does it before you submit the archetype (also would be nice if you didn't make every single Field Spell a +infinity). Since the archetype is a reference to Dungeons & Dragons, I figured that the Field Spell could have "If you roll a six-sided die and the result is 20, you win the duel" since the archetype revolves around increasing the result of your dice rolls via counters, Equip Spells, and/or Quick Effects similar to how stats, Armor/Weapon, and Abilities/Buffs Spells work in D&D. I thought it would be cool if actually rolling a nat 20 would win you the game. Can I join, Im a member of the Discord and can be messaged on here and get back to you within two days. Thank you and I look forward to this! One of my concepts is an archetype called Diceper (their names are all based on "Diaper", "Dire", "Spire" "Per-","-Sper", "Spur-", or a word that rhymes with Diceper. Their function is to force an opponent to draw (or make effects that can be negated by drawing many cards) to deck out the opponent. It is very hard to balance, but by keeping a Diceper monster on the field and Changing the opponent's effect to make them draw cards can help to balance it. They will also be based on Rolling Dice, so It is a very high-risk, high-reward deck that can be meta. We already have a Deck that draws your opponent cards called "Affinfinity" (Means Infinite Affinity, or Infinite Charity) but the ability to change effects to "draw 1 card" similar to how Artifact Durandal changes effects to destroying your Spell/Traps would be a great idea for the archetype that I hadn't considered before, so yeah that'll be implemented in my next edits to the archetype. As for the Dice, we already have a dice-esc prompt called Plotseeker where they can also increase the results of the dice roll via Counters, Equip Spells, and Quick-Effects, which is a callback to how D&D handles RNG, by having dice but by also having stats, items, and such to increase your chances of success, which is how dice should be handled considering simply including dice haphazardly is not only lazy but if the Deck is any good it would be detrimental to high-level play. If you have any interesting ideas for dice I'll list below. I'll list you as a Tester since you're on the Duel-Portal more often than not. This is an Archetype of LIGHT and DARK Beasts and Beast-Warriors that are "battle-oriented". By battle-oriented, they can't deal damage but whenever a monster attacks and you have the Field Spell Card out, you can pay 100 LP to deal 100 damage (or keep it different 1 amount and it must deal that same amount paid like the anime card Amazoness Arena). The monsters aid in getting and protecting the Field Spell Card and its supports while the Boss monster allows for more activations of the Field Spell Card. More or less, this will be like fist fighting with player against player, instead of player against monster or monster against monster. Spell Cards and Trap Cards of this archetype negate damage except by the Field Spell and helps the negation of removal effects. PvP has always been an interesting concept, although the way you worded the prompt is a bit strange. I'm a bit confused on what the archetype does. It seems that you walled yourself off by having it entirely based on the Field Spell that you might not always have, and just said that you want the cards to protect that Field Spell. Instead, I might have it so all of the monster can enable PvP, where you can pay up to a certain amount of LPs to deal an equal amount of damage to your opponent. Then, you have effects that increase the intervals of effect damage you deal so you can profit. The monsters themselves would not only be inable to deal damage, but also have a focus on DEF attacking so that you don't take damage yourself from opponent's attacks. This may not have to include all of the monsters, possibly just the Extra Deck monsters. The Field Spell would probably do something similar to the Trickstar one where every time you use the sort of effect (or just damage your opponent with a "" card) you can repeat the process of paying LPs to do damage after a monster does. So yeah I would make the focus on a slow painful value game where even LPs matter. That would probably fit what you're looking for with this archetype. Possibly even add Stun and Protection effects specifically to screw with your opponent's ability to finish the game. Name feels a bit too cluttered though. I would go for something that runs off the tongue a bit better. New prompt for a possible Dragon Ball adaption. Archetype focused on ranking up a specific monster, similar to Harpie Lady or SPYRAL if they were mixed with Raid Raptor or Utopia. How it works is similar to Zoodiac, but don’t expect it to be so simple as to keep stacking monsters on top of each other immediately after another. Instead, you have trigger-like Quick Effects to Xyz Change into the next change. It’s slower but has more protection. This is all specifically to replicate Dragon Ball’s Super Saiyan mechanic, where they comically change their haircut to increase their power, which I would say is very similar to Xyz Change. You may also make a Synchro for Shenron and a Fusion monster that gains effects depending on the Fusion Materials (similar to Metaphys Horus if you need reference). You can Tribute this card to activate 1 of these Quick Effects. ● Special Summon 1 monster from your GY, except “Xīwànglong, the Seven Starred Dragon”. ● Target 1 “Seven Star” monster you control; it cannot be destroyed by battle, is unaffected by your opponent’s card effects, and cannot be Tributed or used as a material for a Special Summon until the end of the turn. 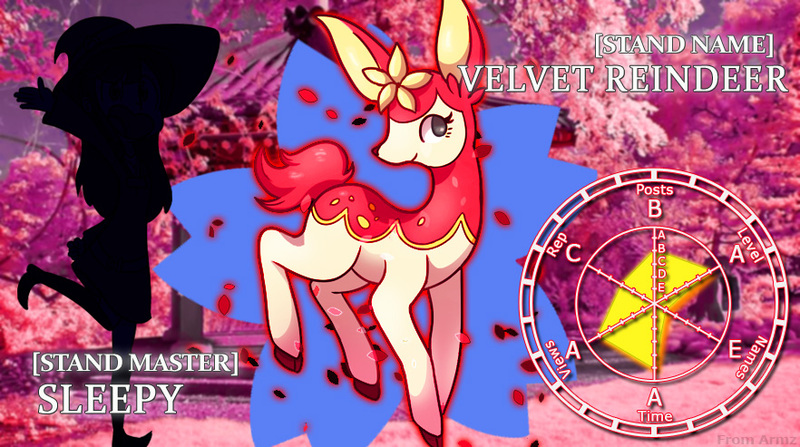 Please welcome Azuriena, who will be doing archetypes and reviews for the DPR. Also, how does everyone feel about making a Discord as a way for more interactive card discussion amongst the team? At first, I made the club for post permanence, but I think that's really only for card and archetype posts. That would be fine with me. My Discord is Fukato#3541 if you want to add me. Posted some of the generics thus far in the generics category. Will be gathering more of yours later but it's harder when you don't put the (DPR) symbol there or "DPR Generics" in the tags. The Romanticondere Archetype, an archetype that has Level 1 and 2 monsters. Their Spell/Trap Cards have effects that the opponent chooses for you, some negative and some positive. There are also effects that happens when they are returned to your hand like a love letter being returned. (Think of the GX episode of Manjoume/Chazz confessing his love for Asuka/Alexis.) They have Link Monsters called "Dramaticondere" that gives your opponent's your Spell/Trap Cards and can even force their activations. The Spell/Trap Cards vary from doing effect damage, increasing LP, drawing cards, discarding cards, etc. The Main Deck monsters search out the Spell/Trap Cards and can give control of themselves to the opponent. The Romanticondere Archetype, an archetype that has Level 1 and 2 monsters. K. Skeptical of the name though. I might make this LIGHT Zombies, having them be Victorian style Vampires, although that may be a overdone trope. Their Spell/Trap Cards have effects that the opponent chooses for you, some negative and some positive. This is definitely interesting, although I hope you have some ways of “persuading” your opponent into doing what you want, like you have optional costs or something that lets you choose which effect you need. This goes well with the theme and would give you a chance to activate what would otherwise be inherently the better effect. They have Link Monsters called "Dramaticondere" that gives your opponent's your Spell/Trap Cards and can even force their activations. Similar to my Affinfinity archetype, I would give 1 of the cards a ability to add a card from your Deck/GY to your opponent’s hand, and then have cards that can swap cards from both player’s hands. Or you could even have a card that stays revealed in their hand and forces them to let you pick which effect you get. The Spell/Trap Cards vary from doing effect damage, increasing LP, drawing cards, discarding cards, etc. Makes sense. I might also have ways of increasing their LPs, and then having effects similar to how Nurseburn works where you can swap LP increases for Effect damage. With the whole “giving out of romance theme” it’s an interesting concept, but I wouldn’t make the Deck entirely that, more have it as something you can use the Deck for so you can run several versions of the Deck. The Main Deck monsters search out the Spell/Trap Cards and can give control of themselves to the opponent. Giving control of the monster to your opponent is a cool idea, but I feel maybe not give every monster this since you need to get out a Link Monster. Maybe 1-2 monsters max (possibly just the searchers). If you make this Zombies, you could also have monsters that can be Special Summoned if your opponent controls a Zombie. YEAH that’s a solid idea. There’s a lot you can do with it, and a lot of different ideas that if done right could merge together seamlessly. I would make this 1 of the archetypes we get ready for the tournament in January. I do think you should go less monsters (maybe 3 or 4 for now) and more Spells/Traps (6-9) with possibly just 1 or 2 Link monsters. If you want to go even further with the “romantic” link concept, you could have the Link monsters work like Chimeratech Fortress Dragon where you can use your opponent’s Zombie monsters, and even maybe give control of the Link monster to your opponent and have them with up pointing arrows. This sounds like a fun project. I'll be following it. I mostly read the rules but have yet to finish the card pool list. That'll take a little while. My main drawback is my lack of Duel Portal. I think I had an account like 5 years ago but I never got to actually use it. I recall having been able to upload like 2 cards back then. We're not using it all that much at the moment since we're in the process of making the cards, but I've been every once in a while putting the cards we've made thus far on the Duel-Portal. As for now, what do you want to be signed in for? We have occupations we don't care too much about but it tells people what we're doing and what we're good at. Eventually (like a year from now maybe) I'd like to get the cards programmed on YGOpro, but 1 victory at a time. Veeeeery occasionally I can be artist (my profile header is a sample of what I draw like, even though it's all traditionally), but I don't usually have a ton of time for that. I'll first try to get to know all the cards made so far and see what's up. Gotta get a feel of the intended power level, speed level, and what mechanics are accepted (in case there might be any that are not). I'll put you on the list. 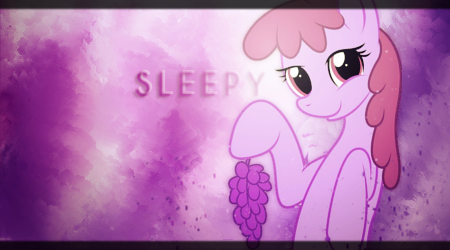 Everyone welcome Sleepy to the DPR! The generic list from the OP is all in, but the archetype spoiler is only for the concepts. Are all archetypes currently on debate within the comments or is any of them officially in? Also, does the finishing product entail a format exclusively with these made cards, or does it intend to mix them with the entirety of the Konami-made card pool? Or maybe it'll have some Konami cards and mainly consist on custom cards? The archetype PROMPTS are just the concepts. They haven't been made yet unless they're displayed in the archetypes list. I did make Affinfinity and Scrap-Iron but it was kinda overpowered so I'm reworking them. As for what makes cards official, you have to test them in the Duel Portal, since otherwise you really have no idea how fun a card is to use. I'll be posting Affinfinity by December, I'm working on Future Purged which attacks their own monsters, Nekomata has been working on Paperplanes which look like they're going to be a fun take on Xyz Pendulums, and Fukato is at the moment working on Romanticondere with some strange and dubious takes on romance adapted into Yugioh Mechanics (which I haven't added to the prompts list yet whoops.) By the time 2 of us make a archetype we'll have enough cards to start testing. There's a generic list on a Google Doc that's more up to date since I haven't updated it recently (since it's hard to add each card individually I tend to put a dozen or so in all at once). I'll send you the link. We haven't discussed it yet, but I'm planning to make the rule that you can run 5 cards made by Konami (including Extra Deck). This is more to just give the option of running the essentials while not breaking the format with cards that were made outside of it. I have a 4 day weekend after tomorrow, so I should be able to get a lot done if I can stay motivated. If a generics card whose thread is a little on the old side is found, I'll talk about it in this thread instead. I'm just looking Main Deck monsters from bottom up right now, and the second one is Silly Slime. It makes me remember Fox Fire, though this card actually protects the player, and right off the bat has a natural counter in this card pool: Spying Through the Cracks. Of course that'll still require you burning through your protection on your own turn, and having S/T removal (or maybe not S/T one.... for all I know at the moment you might be aiming for a faster format than drawing into removal generics). Silly Slime's cost is fine, but I'm not sure I'm on board with the LP gain bit. Being mostly infinite Tribute fodder should be good enough at the expense of your LP, and shouldn't replenish itself like this, especially if this format ever dwells into quick Tribute Summons existing, like Escalation of the Monarchs, Ehther the Heavenly Monarch, Dark Advance, Rival Arrival, etc. The "until the End of your next turn" bit is a little confusing. Does it mean that Scapekid needs to be used before the due date, to be able to use the Tokens as materials, or does it mean your Scapekid cannot be used until past the due date, and you have to keep it alive that long with a fully defensive field? Speaking of the other bit, I think intercepting its effect is not much of an option, being a Damage Calculation effect, very few cards can enter that activation window, and by the time the battle is in that stage, the attack is pretty much irreversible. If you want a reaction window, you maybe could reveal this card from your hand when the attack is declared involving the opponent's monster, and then after damage calculation you proceed to Summon it and do the Token spam effect. I know I know, my suggestions are making pretty much every card in this set weaker xD sorry about that. Just throwing out suggestions. Combos might connect better than anticipated in these sorts of projects more often than not. I for one, agree with Polaris there: I also am excited for this card's Tribute Summon capabilities. I sure hope it isn't a neglected mechanic like it is IRL, and we do get a few Level 7+ goodness at some point. Just for that, I think this card is pretty good even if it loses its Extra Deck capabilities, making it solid overall. You can only activate 1 "Interdimensional Argonaut" effect per turn. When your opponent activates a card/effect, apply 1 of these (Quick Effect). -Return 1 card you control to the hand. -Discard this card; banish 1 monster you control, until your next Standby Phase. IDK, my version sounds a bit off too.... hmmm. Well anyways. It IS a better Time Escaper. Generic to all monsters, doesn't target your monster, and can return itself to the hand. At this point the hard OPT clause is almost negligible. More importantly, I am not sure how to feel about such an early inclusion of hand traps into the game. I feel like this could be Attribute support rather than generic one at the very least. Or you could probably Tribute this card from your field to quick-banish something (fully chainable rather than in response to an opponent's effect if done this way). This way you get to stay fully generic and quick. Maybe have "this Summoned card" do it, so you could have this card "return" with the banished monster, and no longer be live if you do. The suggestion would encourage outside means to Special Summon it (which I'm sure there's an upcoming Zombie in this list that does something like that) and drop the need for bullet point separations. Depends for now on the play-style you intend to build towards. If you wanna have it be similar to modern Yugioh, this card is going to be super relevant and super flexible. It can be Special Summoned with ease, has the biggest stats up until now, and you could attack with an already present copy to turn it off, do your needed draws, and Summon a second copy to keep the lock going. Or if your searching tools intended for this format are moderate enough, a search per turn or so might make this card more bearable. I'll be honest, I can't tell how powerful this will be yet, until we define things better. At the very least its stats are great. Just saying it is something to keep an eye on. I don't really like Catchy Plague. It sounds like you just need to build with Level 4 or lower monsters and you can just Special Summon all of them into the field the moment you draw into this. Though their in-field effects are otherwise pretty much negated. The flavor is in turning them into mindless Zombies, but I think there should be some sort of cap to this. It is more of a speed power play for laddering, and a more or less safer swarm than Pendulum Summon, with less setup. I think the card could be a little more tame and flavorful if it Summoned a single Zombified monster with out right negated face-up effects, and the rest of the plague came into battle contact form (as in, monsters battling it became zombies while face-up, and lost their effect for a turn or something). It is a sort of Marauding Captain or Goblindbergh, which is about good enough IMO, especially if it were a Tuner, though maybe you don't wanna include Extra Deck just yet. The Madness Method. I'm not sure I like the "can activate it the turn it is set" clause, but otherwise I like the nuke through damage. It is at a very hard to counter timing. Oh, actually, I just realized it is a field nuke rather than a monster nuke. This is a very dangerous card. I like this. Worth trying out for sure. Sudden Cyclone is like a non-destroying Torrential, that even if it returns the monsters, it still causes great disruption and leaves weak materials lying around for you to take care of as they return at your most advantageous timing. It offers D.D. Burial putting monsters in the GY to never come back, it offers replacement of your Extra Deck Summons so you open up other stuff, it offers triggers when banished like Shiranui, it has combo potential. You can even respond to your opponent's copy with your own, only so that the monsters come back during your Standby instead of the opponent's. I wonder if this'll end up as a card that encourages conservative play, or as a momentum change. The implementations make me wanna test it out or design around the concept in some way. Second Rat is very nice removal. You force it up through a good old normal Trap, and bam! Wasted if not chainable. I do like it more than the First Rat. Maybe if anything, it is a random-looking name without the context, but otherwise I am on board. Oh, just saw that First Rat is also on the list. Isn't that a straight up better version of this card? Lightningrod is very much an awesome card. You get to negate the same things as Dark Bribe without giving them a draw, potentially destroying something you want them to pop, and it still requires you to know what you have placed on the board and what hasn't. I think it might need a clarification of "(if any)" and a way to not let them target "Lightningrod" itself, since the opponent will likely choose it for pointless destruction instead of anything else once they suspect something is up with your other backrow there. This way they have to go for what you want them to go for, and can still be used if you simply don't have any more backrow. Lost and Found is a half-Desires that doesn't hurt your deck so much but is still essentially an Upstart Goblin improvement. Then 1 turn later you get a better Duality that fulfills the overall +1 that Desires achieves (although a little more slow). Aaaaand immediately after typing this, I found out the first reply in its thread says the same thing. You could make it slower as a suggestion. Banish 5 when used. Next turn add 1. Then next turn add another 1. Both opponent's choice letting them see your 5 ones. Maybe that'd be too much. Or you could go the CardCarD route and outright draw 2 for an automatic turn end. Or you could have your opponent return 1+(up for calibrating this variable) cards from your GY into the Deck before adding either of the cards, so that you ultimately fatten your deck more than you thin it, in exchange for the plus 1 you'll end up with. Overdose on Destruction seems like a more balanced Dark Hole in terms of you not really moving freely here either, especially as a Spell Speed 1 effect. It doesn't have timing so if you set it and another effect forces it up, it'd be trouble. I think it might be a tad abusable with floaters a la Yang Zing if you ever need to thin your deck because this card will trigger 3 times ( BP, MP2, EP). Name change detected, but I think Saturated Rainbow's thread already covered that bit. Hmm it is a pure heal card. It prevents damage but doesn't protect the monster itself. It seems a little pointless at the moment if your opponent is gonna aim at the equipped monster regardless and you'll only mostly pay a few more times with Silly Slime. I feel like instead of reduced damage and full heal through direct attacks, it could have been a more full blown lifelink (MTG keyword) effect, where you do inflict damage, and get healed by the same amount (Like Vampire Koala or Fushi No Tori). Though extended to any damage inflicted in battles involving it, so that you get to gain as much LP as you just lost through battle damage (to the same result as nullifying damage, but at a more combo-friendly procedure). It still offers no protection for the actual monster, but it prevents damage, keeps direct attacking (nerfed), keeps giving you LP, and it is overall I think not super overblown. Though tell me what you think of the suggestion. Winded Wind super flexible. It recycles your stuff in a Giant Trunade fashion, and if the opponent doesn't let it be a proper Spiritualism, it threatens to be back until they let it be, which keeps forcing their chains to happen if they did that so they are better off letting it happen. Naisu. I didn't read the entirety of the discussions within those threads, so hopefully I did not just repeat something already said in there without anything new.... and I will check out the document later to see what's different and what's not in this list.